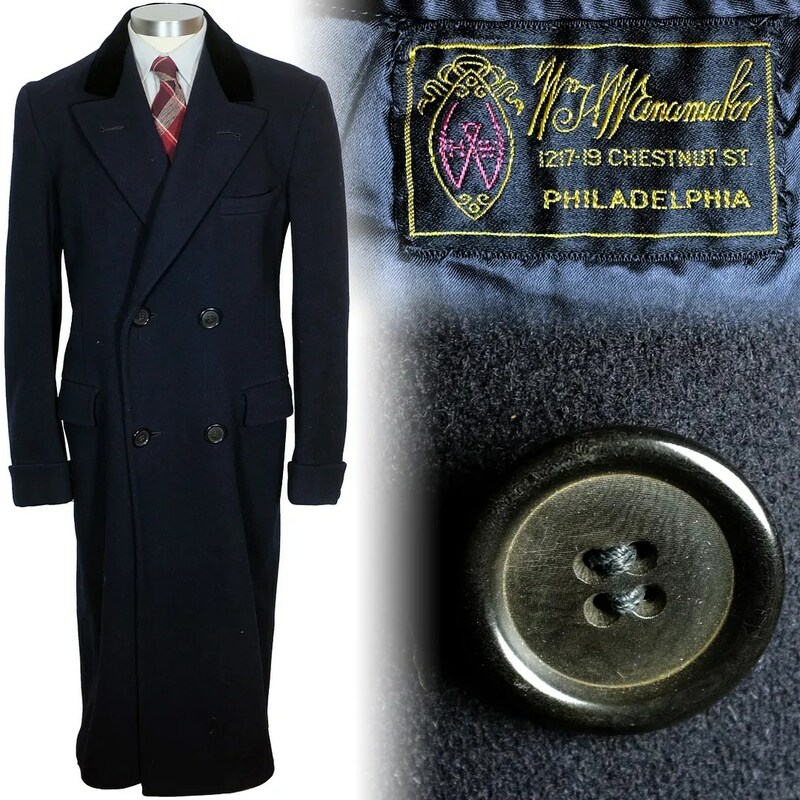 This vintage overcoat was made in the 1930s and was sold by William H. Wanamaker of 1217-19 Chestnut Street, Philadelphia, PA, a high end men’s store. 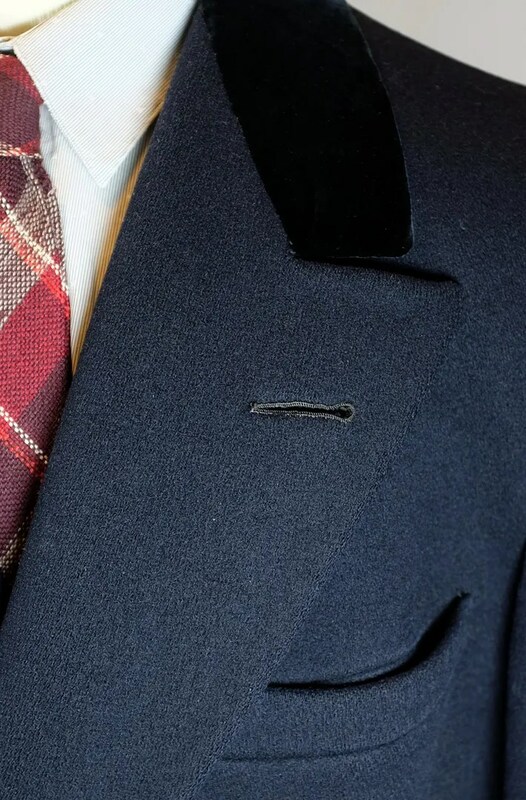 It is a classic Chesterfield style overcoat, with a double breasted cut, downward sloping peak lapels, a 2×4 closure, breast pocket and velvet collar. 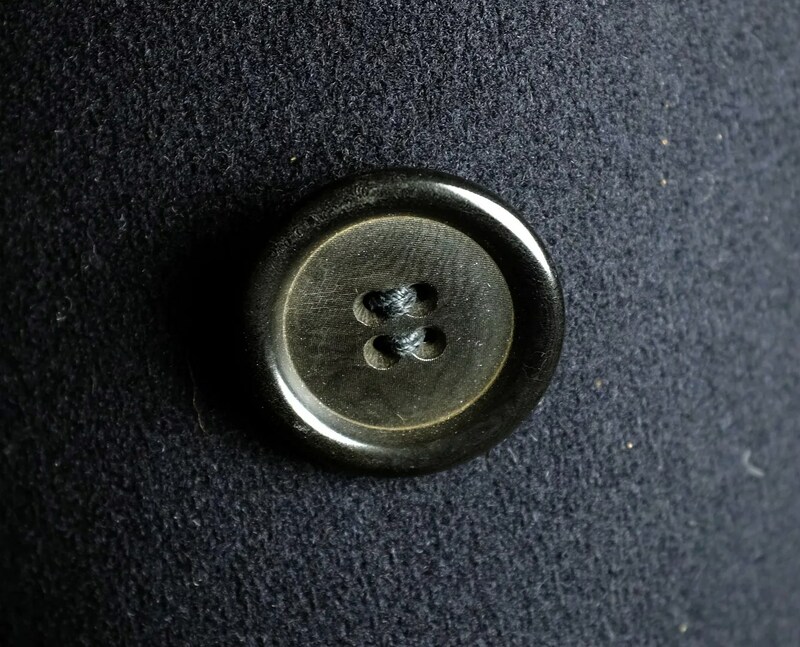 This entry was posted in Coats, Uncategorized and tagged 1920s, 1930s, chesterfield, Chesterfield Coat, double breasted, Pennsylvania, Philadelphia, vintage, W.H. 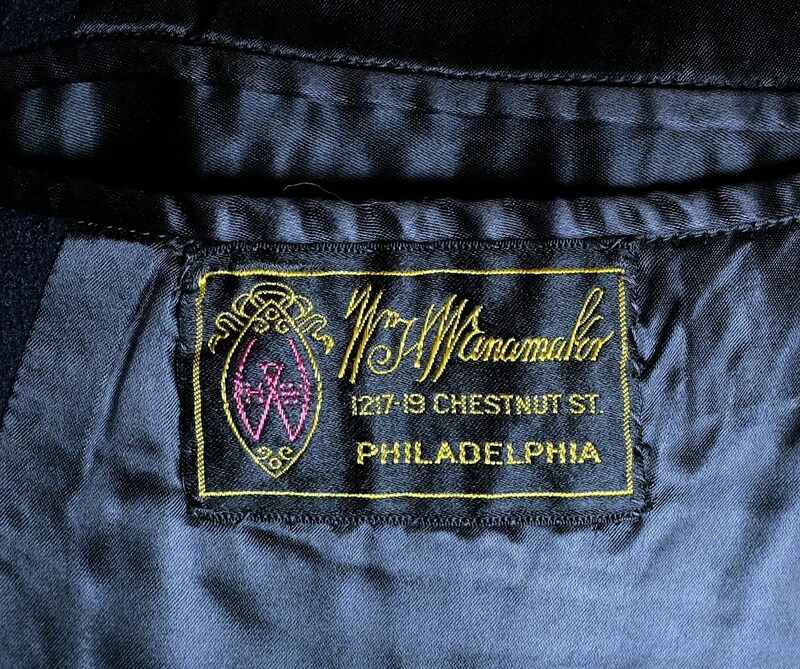 Wanamaker, William H. Wanamaker by Spencer Stewart. Bookmark the permalink.